The 2017 edition has 974 addresses of hosts in 81 countries. The booklet (directory) with the list of addresses costs only 9 euros + postage and can be bought online at http://katalogo.uea.org/ If you decide that you want to become a host yourself, then you get the directory for free, I think. Each year there are many congresses, meetings for Esperanto speakers, some specially for young people, some for teachers, etc. 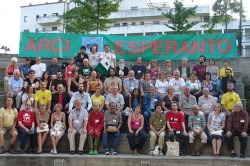 The main congress is the yearly Universala kongreso organised by the Universal Esperanto Association. It attracts usually between 1,000 and 3,000 people. In 2013 the congress took place in Iceland, in 2014 in Argentina, in 2015 in France. The next one in 2017 will be in South Korea at the end of July. In 1997 it took place in Australia (Adelaide). There are many more gatherings each year organised by a variety of organisations. The photo at the top of the page was taken at a very popular yearly event in Germany which takes place around New Year's Day. Thanks to the Internet there are lots of possibilities to communicate in Esperanto. In addition to email it is easy to find Esperanto speakers on Skype for example, there are many discussion groups in Esperanto, for example Reago or Azio (mainly for Asian Esperanto speakers). There are lots of websites in or about Esperanto. 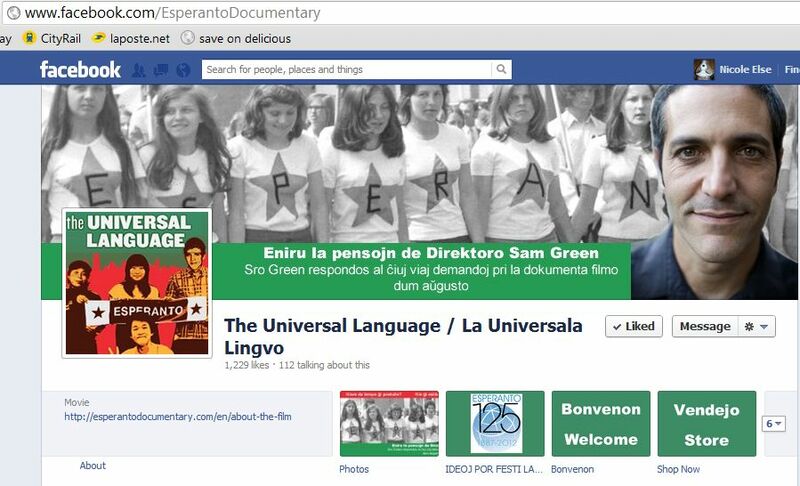 Many people communicate in Esperanto on Facebook. The Esperanto part of Wikipedia has over 130,000 articles in Esperanto. Subscription to Esperanto magazines is a valuable way to both learn what's happening in other parts of the world (not only about Esperanto but also about world issues) and improve your reading skills.